Isn’t this a nice sight! Heaps of laptops having Ubuntu installed on them instead of Windows! 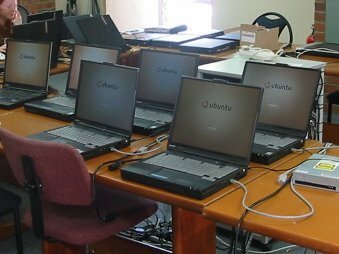 🙂 Itshare SA Inc provide computers for people on low incomes with Ubuntu pre-installed on them. I’ve been getting computers from them for Teen Challenge training rooms, I also refer my students/clients who need computers to them too.